Iconic lounge chair designed by Jorge Hardoy-Ferrari for Knoll, USA 1970. This lounge chair is probably one of the most copied chairs ever. 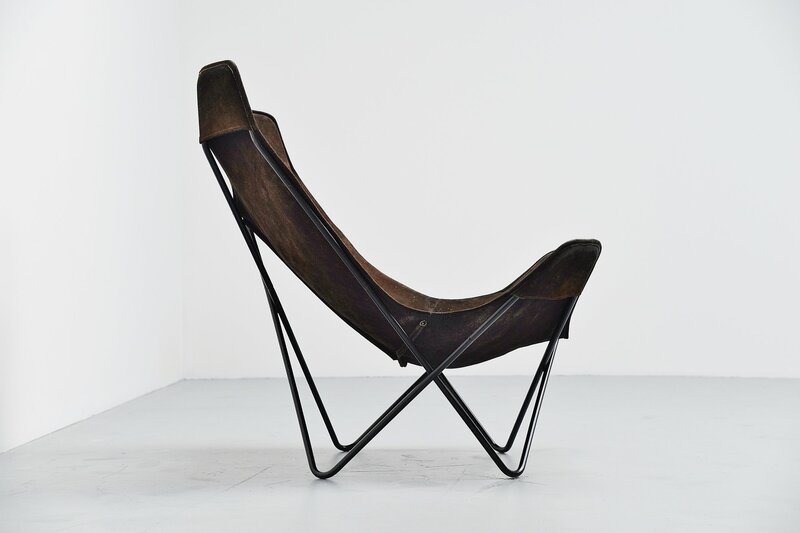 Since the chair was designed in the 1950s without copyright, every company could make it. 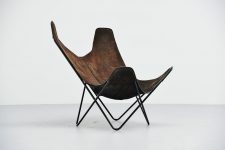 This is the only model I know for sure was produced by Knoll for the European market in the 1970s. 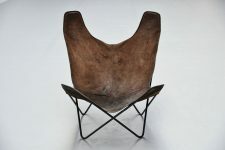 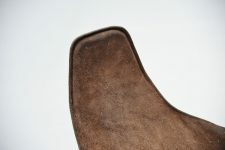 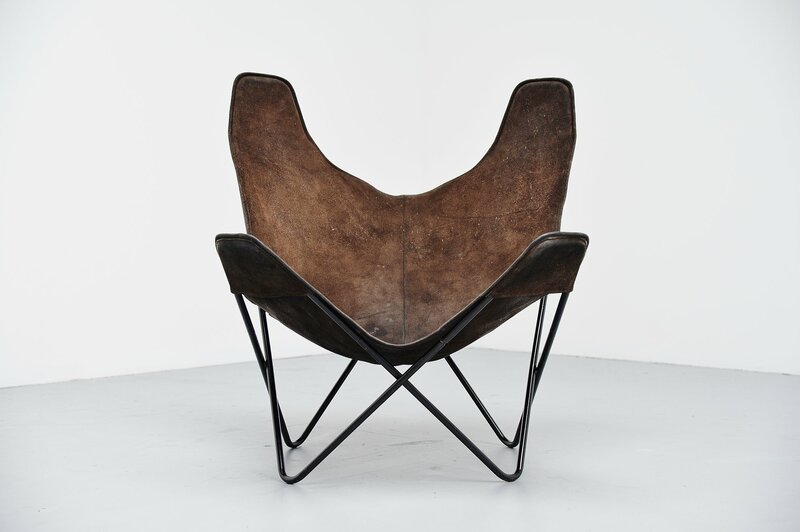 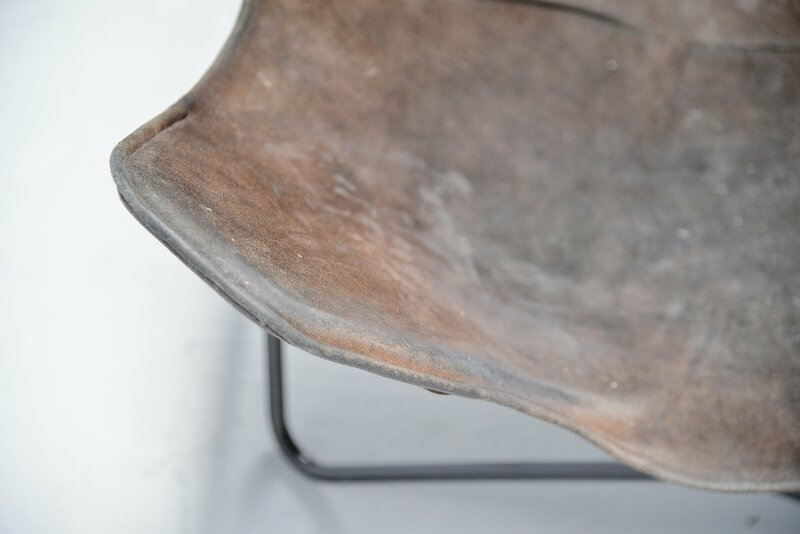 This chair has a black coated tubular metal frame and a very nice dark brown suede seat that is still in good condition with very nice patina marks, from age and usage. 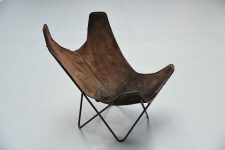 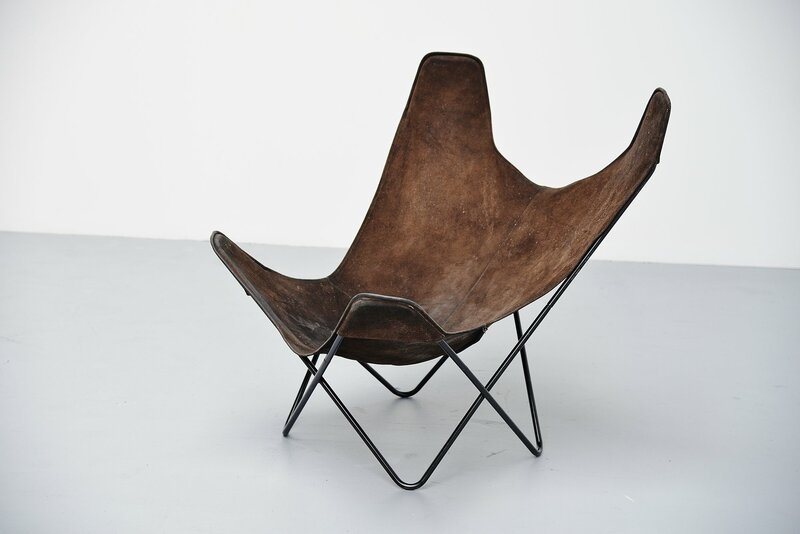 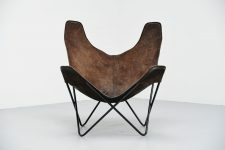 Very nicely shaped and comfortable lounge chair, can be disassembled for easy transport.